A Northeast Florida House for Sale—Nailing that First Impression! It’s a saying that job applicants (at least the successful ones) take to heart. It’s why a lot of serious primping goes on before a blind date. It’s why movie directors spend as much time as it takes to light and prepare the first shot that will introduce their lead actress. And if you’re going to have a house for sale in Northeast Florida this summer, it’s why it’s worth it to take pains to make its first impression as strong as possible. Even just a few flower pots or window planters will invariably work to cheer up an otherwise ‘just okay’ exterior. When a prospective Northeast Florida buyer drives up to a house for sale, a few large pots along the driveway and/or porch—sometimes with the addition of a couple of inexpensive window boxes—can make a real difference. Fill them with easy-to-care-for annuals like marigolds, petunias, or impatiens. Don’t freely mix colors in any one box or pot: that can mute the cheerful effect that a solid mass of yellow, pink or red conveys. 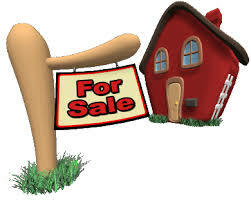 If you are thinking of listing your house for sale in Northeast Florida, July is prime time to start the ball rolling. Call me today to discuss your pre-marketing plan—we’ll develop one that’s designed to fetch top dollar for your property!